At Indazo, we have an expertise in handling SEO client from all around the globe and we are one among the best SEO companies in India that you can rely on for outsourcing your SEO projects. We have worked for clients associated with a wide range of industries and have a proven SEO track record for delivering high end results to each one of them. Our process is designed with an aim to make SEO outsourcing easy to handle and easy to track for you. The art of search engine optimization is a broad and technical subject. Many businesses, whether starting out, or seeking to revitalize their brand recognition and search engine rankings, choose to outsource the SEO (search engine optimization) jobs to professionals with a proven track record. Cost effectiveness & global standard work are the main reasons, why many organizations opt to outsource their search engine optimization to India. However, it is important, to narrow down the right SEO outsourcing company for your SEO project that can deliver you the desired targeted results. Indazo has been ranked the Number 1 Search Engine Optimization Company in India and by knowing this you can easily understand why you can trust and hire us for your SEO outsourcing. 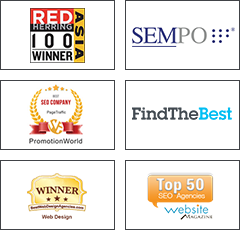 We have clients from all over the world, outsourcing their SEO work to us, here in India. We understand that many businesses do not have the detailed technical knowledge or valuable time to dedicate to implementing SEO strategies for themselves. For many years, Indazo has been helping such businesses to gain online visibility through strategic SEO and hence enabling them focus on the other areas of their business while we take care of all the search engine marketing needs of their business. We don’t make false promises or exaggerate results. Our team of SEO specialists in India will work closely with you to develop a bespoke SEO strategies that will lead you toward your online business goals and objectives. Indazo is the top choice for global companies who are planning on outsourcing their SEO campaigns to India. We are committed to excellence and customer satisfaction and leave it to the results to speak for us. 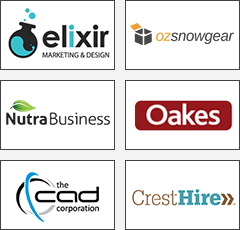 We look after the SEO (search engine optimisation) needs for companies of various sizes. Please look at our website, Facebook and Twitter for an indication of our reputation and wealth of experience. If you still have any question about SEO outsourcing service please contact us. Together we can help you formulate a realistic and achievable SEO plan to help your online business achieve success.